Divisibility rules can really help you out a lot when trying to list the factors of a number. Click below for information and practice with some of these rules. 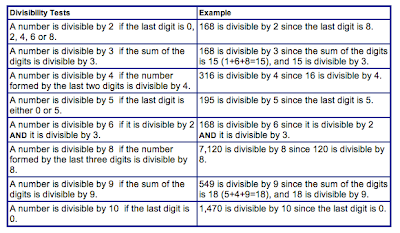 Divisibility rules can aid in finding factors of a number. See You at Open House!